Yesterday I said to my husband “I’m have a Moose a Muffin day.” He said “you’re what? ?” After explaining what I meant, I thought it may be appropriate to re-post this item I first posted in the spring of last year. I’m sure many of you R.W.’s can still relate. Then go enjoy a muffin. 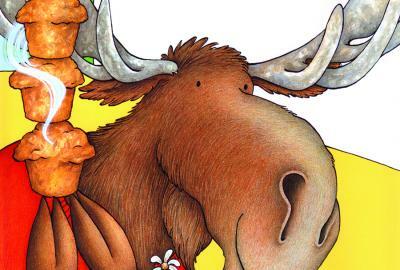 Anyone with a child in their life is familiar with the “If You Give A Moose A Muffin” book series. While children find them funny, Real Women can oddly identify with these stories’ themes. As a matter of fact, we live very similar lives as the moose, the mouse, and the pig. She’ll want to fit far too many activities into it. So she’ll get out paper and a pen to make a To Do list. She will want to make some changes. She will head to the bedroom. While there, she will notice the bed sheets need to be changed. And her drawers need to be reorganized. for goodwill or for a seasonal change. Then she’ll need new storage bins and trash bags. She will need to start a shopping list. She will walk past the bathroom, and will notice it is dirty. So she’ll stop looking for the paper, put down her clothes, and she’ll start cleaning. Then she’ll realize she needs more paper towels and spray cleaner. She will need to add those items to her list. After helping the child, the RW will go back to cleaning. But on the way, she’ll notice her house plants are dry. So she’ll need to get the watering can. While filling up the watering can, she will look outside. And she’ll realize she should take the dog for a walk. Because she never found paper to write them down. Then she will begin to recalculate her day. The RW will then get in the car to run errands. And the things the child and husband have requested. And realize she forgot something. At the end of the day, she will head to the bedroom. And the RW will find the clothes that still need to be put away. She will look at the clock and gauge how much her back hurts. She will then stack the clothes next to the bureau. And will go look for her To Do List. She will add more on. And wish she had another Saturday. 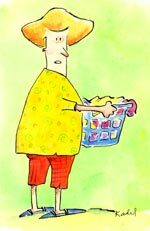 This entry was posted in Chores, family, home, home chores, housework, Kids, real women and tagged If You Give A Moose a Muffin, Saturdays, story, to do lists, Weekends. Bookmark the permalink. 1 Response to If You Give A….. I didn’t realize you knew me so well!!!! You write about a typical weekend or day in my house!! !